Components are of very nice quality. The game includes the main board, farm board and coloured meeples for each player. There are wooden cubes for each influence type, cardboard trading tiles, etc… Anyway, the quality of components is great! The game has really nice design. The cubes are, just that, cubes, and don’t expect too much on that front, but images are really beautiful. The game ends when either whole chronicle or graveyard (if there is not enough space in chronicle of that type) is full. Points are tallied and winner is the one who has the most! Main random element of this game (and, randomness is really important for replay value) is mostly tied to influence cubes that are put on different actions. This will not dramatically change anyone’s luck, but will definitely change how each game is played. Also, trading tiles are random, and will influence your crafting decisions. Anyway, this game has surprisingly nice replayability. Aside from having great quality components with nice design, the Village is a smart, and beautiful game with many tough choices, few very interesting and novel minor mechanics, that is not too hard to learn and is thematically great for families. Game consists of a large board (showing the map of Europe), one very large deck of train cards, smaller deck of destination (task) cards, plastic trains in different colours for each player and wooden token for score keeping. As is a custom for euro games, score is kept on a track around the map. Everything is of very nice quality. Completely in theme and very clear. There is absolutely nothing bad I can say about the design. At the beginning of the game each player gets 4 (1 large and 3 standard destination cards) and chooses two to keep. During a turn, player can either pick two (or one if he picks up a revealed locomotive card) revealed or hidden train cards, connect two cities or choose new destination cards. This goes on until one player spends all his trains. Players score points for each connection, but also from finishing destination cards; but for each non-finished destination card at the end of game, player loses that many points. There are also 10 additional points for the player with the longest road. Additional Rules to original Ticket to Ride include ferries (you need to use Locomotive or two to build connection), tunnels (you might need to spend additional cards to build connection) and stations (you may use other players connection for your own destinations cards). Ticket to Ride is a classic, and not without reason. It is a beautiful, simple family game loved by so many people around the world. It has it’s dose of luck and strategic thinking, but it is never too heavy for the players, it plays fairly quick, and it has trains, and who doesn’t like trains?! The game consists of a deck of cards of average quality. There are also 5 role cards and trading cards printed on the cardboard. The box also includes a pencil and a nice pad to keep scores. Nothing special. It looks fine if you take it in its theme, but it is not great. At the beginning of the turn, Governor (first player) selects the role he wishes to play. Role is actually a type of action that is played by all players (except Prospector, that is played only by the player who chose it), but the player who chose the role gets its benefits. 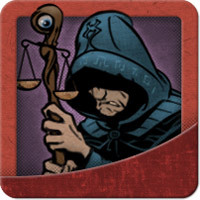 At the beginning of each turn, the Governor token is sent to the next player. Actions include building, producing, selling and taking cards… And cards are everything in this game, they are buildings, money, goods. So, i.e. a player has 4 cards in his hand, he chooses to build a building (from his hand) costing 4, he will take a Builder role (which gives him the benefit of building at -1 cost) and will discard other 3 cards to pay for it. A producer will put goods (cards from the top of the deck) under his production buildings, and a trader will sell these goods for the amount depending on trading cards and goods type. Anyway, once any player has 12 buildings, the game ends and total points are tallied. I really like San Juan. It is a very simple and fun game with a nice amount of strategy. Number of cards drawn are so huge that luck is really at the minimum, though luck on trading cards can greatly influence your plans. Anyway, it is a fast, easy to learn game, that is actually great for 2 players. Very, very fun and simple game, with (probably) nice replay value, but unfortunately packed in average quality components and with bland design. Although, it is definitely increasing the luck factor (of already very luck based game), we found that it also increases the thematic tension of not knowing what to expect, when encounters are put face down on locations. Put random 6 tokens on locations, instead of those shown on cards. This, combined with “Lone Token’s” house rule of hiding terrible tokens, really powers up immersion and tension. Hello! I've been playing board and role playing games for almost 20 years, since I accidentally discovered D&D on the net. Since that day I played many war games, card games, board games, and gaming became a big part of my life... Today, I mostly enjoy playing games with my wife, and occasionally with my best friends. My favourite game is probably Carcassonne, but I enjoy playing many types of games.